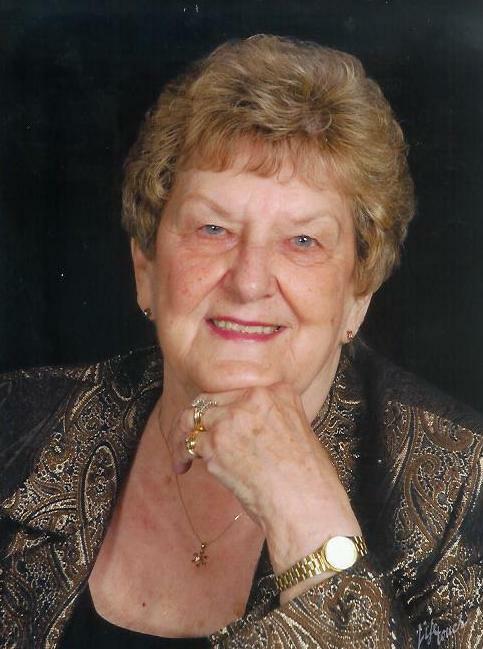 Phyllis Grace Nobis, 89, passed away on Saturday, April 6, 2019. Phyllis was born August 3, 1929 to William and Lorna (Wessler) Witte in Arenzville, IL. On April 23, 1949 she married Carl A. Nobis in Arenzville and were married 53 years raising four children together. Phyllis worked as a secretary for the Clinton County Sheriffs Dept. for 20 years. She was a member of St. Paul Lutheran Church in Fowler and was a former member of the Clinton Memorial Hospital Auxiliary. She is survived by her children, Jeffrey (Alice) Nobis, Terry (Ann) Nobis, Debra Mathews, and Chuck (Constance) Nobis; eight grandchildren, Matthew (Shannon) Nobis, Rachel (Jason) Gnegy, Ben (Stephanie) Nobis, Brooke (Trevor) Buys, Emily (Tom) Wolan, Sarah (Troy) Tahvonen, Taylor Nobis and Carlin (Casey) Eiseler; thirteen great grandchildren, Jacob and Brooke Gnegy, Carter and Spencer Nobis, Bosley, Ascher, and Preston Buys, Cameron and Maxwell Nobis, Kellan and Sienna Tahvonen, Cashton and Cruze Eiseler; one sister, Ethel Witte and several nieces and nephews. She was preceded in death by her husband Carl, two sisters, Lorene Thies and Wilma Nobis, a sister-in-law, Nellie Nobis, four brothers-in-law, Paul Thies, Robert Witte, Paul and Walter Nobis and son-in-law, John Mathews. A memorial service will be held 10:30 AM Thursday, April 11, 2019 at St. Paul Lutheran Church 329 N. Sorrell, Fowler with Pastor Paul Clark officiating. The family will receive relatives and friends 4-7 PM Wednesday, April 10 at Keck-Coleman Funeral Home, St. Johns and one hour prior the service Thursday. Memorials may be made to St. Paul Lutheran Church.